Questions like these inspired Hologic researchers and scientists to develop Hologic 3D Mammography™ technology. With the introduction of Selenia Dimensions, we launched the first commercially available system that delivers on the extraordinary promise of breast tomosynthesis. 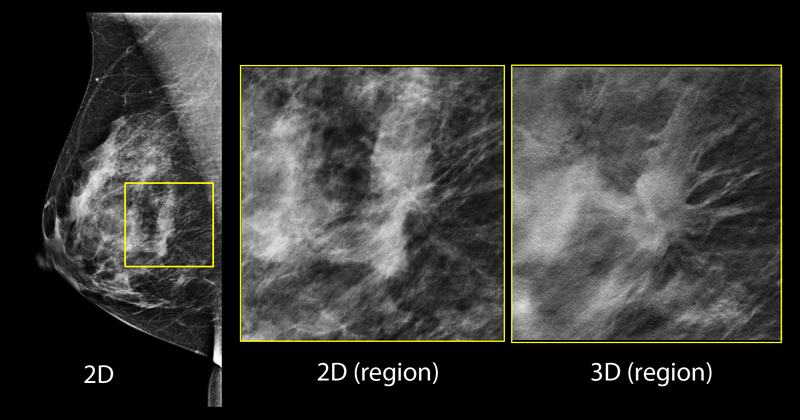 Selenia Dimensions system's Genius™ 3D Mammography™ exam: Simply a better mammogram. Selenia Dimensions 3000 - The evergreen 2D system that offers the benchmark Hologic customers expect, with essential ergonomics and functional workflow features at an attractive price. Plus, the Selenia Dimensions system 3000 package offers the agility to evolve with you. Selenia Dimensions 3D™ Performance System - The 3D™ system that offers the benchmark Hologic customers expect, with essential ergonomics and functional workflow features, as well as the Genius™ 3D Mammography™ exam, at an attractive price. Selenia Dimensions 6000 - The 2D/3D™ system that redefines ergonomics, matched with the perfect balance of enhanced workflow features, taking your performance to the next level. Selenia Dimensions 9000 - The premium 2D/3D™ system that delivers on high performance through its outstanding, optimal ergonomics and elevated, intelligent workflow features that amplify your performance. **Better detection and clinical superiority claims are in comparison to 2D mammography alone. The Genius™ exam is only available on the Hologic® 3D Mammography™ System. Please consult your physician for a full list of benefits and risks associated with mammography. Hear why Dr. Curry recommends breast cancer screening with Hologic 3D Mammography™ exams for all patients. Hear Dr. Rose share how he was able to better visualize an architectural distortion. Hear Dr. Lipsit share how images from the Hologic 3D Mammography™ system clears area of concern, but finds cancer not seen in 2D mammogram. Hear Dr. Michell's first-hand experience on how breast cancer screening with Hologic 3D Mammography™ exams find cancers missed with conventional 2D mammography. 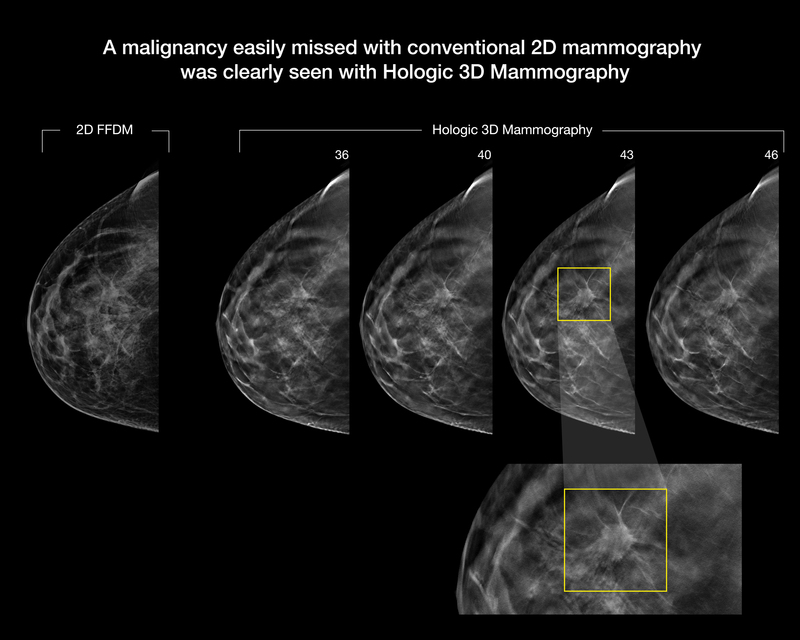 Hologic 3D Mammography™ enables definitive identification of unsuspected lesions in multifocal or multicentric cancers, decreasing the need for second-look US and post-MRI biopsy. 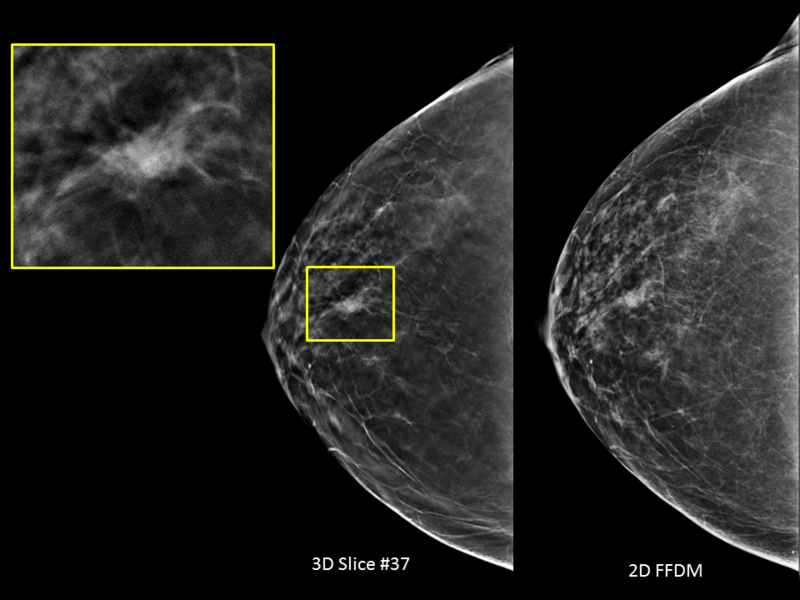 Tomosynthesis finds invasive lobular carcinoma not visible on 2D mammography.